Dr. Ramin Anthony Rabbani O.D. 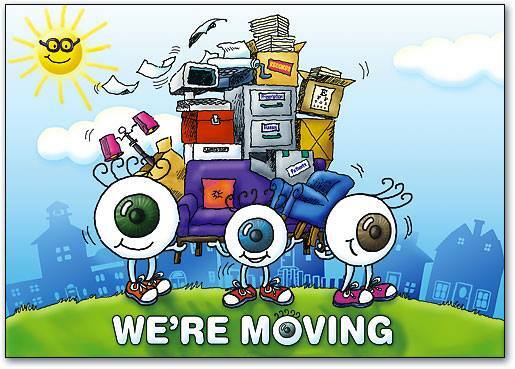 Eye Candy Optometry is very pleased to introduce Dr. R. Anthony Rabbani to the beautiful community of Toluca Lake. Dr. Rabbani comes to us with diverse and specialized training in vision care. His post-graduate training took him to the world renowned Omni Eye Services, a highly specialized clinic for the treatment and management of eye diseases such as glaucoma, macular degeneration, and cataracts. Prior to that he examined patients at the Veterans Administration Hospital in Boston and a community health center where he cared for groups of patients including children, the legally blind, and elderly. During his years as an Optometrist, Dr. Ramin Rabbani has provided his patients with precise prescriptions and comfortable contact lens fittings, as well as, the co-management of refractive surgeries such as LASIK and PRK. We are fortunate to have a young doctor with experience in so many areas of vision care. Dr. Rabbani has been involved in a number of philanthropic projects. His involvement in the Gift of Sight program allowed him to provide voluntary eye care to underprivileged women, men, and children of the Los Angeles community. As a student, Dr. Rabbani traveled with peers through V.O.S.H. (Volunteer Optometric Students for Humanities) to the Yucatan where thousands of residents with little or no healthcare were examined and fitted with glasses. 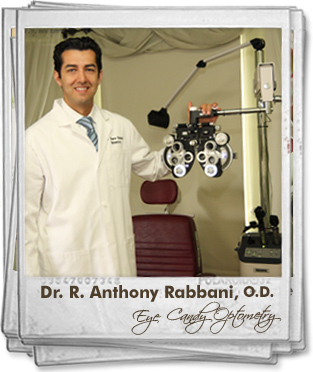 Dr. Ramin Rabbani is a native of Southern California and received his Bachelor of Science degree from UCLA and then went on to earn his doctorate degree from the New England College of Optometry in Boston, Massachusetts. He currently lives in Studio City where he finds many great restaurants and loves a Sunday morning walk through the Farmer's Market. We at Eye Candy Optometry believe that Dr. Rabbani's best attribute is his ability to relate to patients. For this reason, we believe he is also a people doctor. His strength is his interpersonal skills. He is people oriented, and dedicates his life to helping all types of people meet their visual needs. Those of us at Eye Candy Optometry feel fortunate to have such a caring doctor. We believe you will benefit from the caring attitude demonstrated by Dr. Ramin Rabbani. Dr. Rabbani is also fluent in Spanish and Farsi.